St. Patrick’s Day is a day for feasting. Here are a few of our favorite pairings! One of Scott’s goals has always been to make food-friendly wines that are approachable, easy to drink, and shareable amongst friends. If this doesn’t perfectly describe St. Patrick’s Day tradition - we don’t know what does! In the spirit of this festive holiday, we’ve picked three of our beautiful wines to pair with three traditional St. Patrick’s Day recipes. Enjoy! What some may not know about corned beef is that it originated during the days when refrigeration didn’t exist, and foods were likely pickled or cured to preserve them. 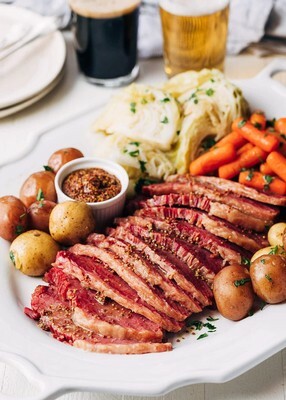 Corned beef, which is traditionally made from the brisket cut, is either pickled or cured using a super-seasoned brine or dry rub, then braised for a few hours to get deliciously tender. Irish American immigrants would splurge on flavorful corned beef which they then accompanied with their famed potatoes and the most affordable vegetable at the time, cabbage. Perhaps the most interesting tidbit about corned beef is that corn, or even peppercorn, isn’t actually an ingredient. “Corned” refers to the large salt crystals that were traditionally used during the preservation process. With that quick history lesson behind us, let’s talk wine! There are several different directions one could go, but our top pick is a classic Zinfandel. Zin is ideal for pairing with meat and typically has a variety of spice notes that complement the savory spice of the horseradish leaving your tastebuds watering! Our 2014 Mountain Selection Zinfandel is an extremely food-friendly, medium-bodied Zinfandel with a rich mouthfeel. Its rounded complexity provides a long, lingering finish that will leave you wanting more (more wine, and corned beef)! 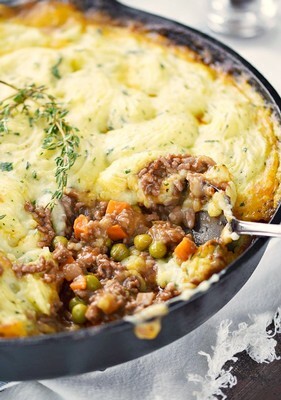 Shepherd’s Pie has always been a beloved dish for its comforting, filling, stick-to-your-ribs quality. In the U.S. it’s typically known as a rich, beef-based stew with a thick layer of crispy, warm mashed potatoes on top. Back in the 1700s, though, folks in England, Scotland, and Ireland used lamb as the base of the pie. Why? Because Shepherd’s look after sheep! Seems too easy, right? Well, that’s the story! However, regardless of what protein you pick, you’re sure to enjoy this Irish classic. With a dish such as this, you need a savory wine that’s up to snuff. Syrah is a perfect pick because it typically has peppery, meaty characteristics and those naturally savory flavors you want to complement this hearty meal. Our 2016 J&S Reserve Syrah - which won double gold at the 2019 S.F. 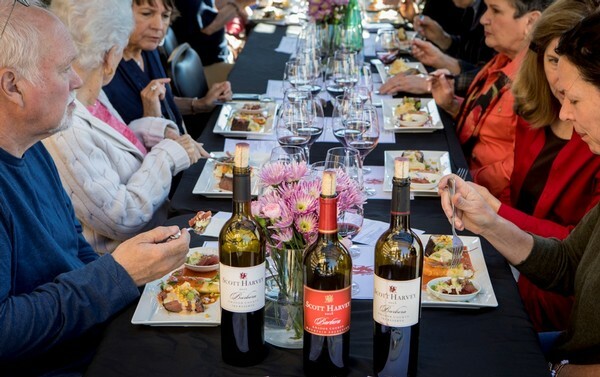 Chronicle Wine Competition - is the perfect pairing. Our Syrah is aged in French oak barrels to develop a well-rounded wine with firmly structured tannins. Aromas of raspberry, pepper, clove, cherry, and sweet, light oak introduce bright, spicy flavors with those firm tannins that carry through the long finish. 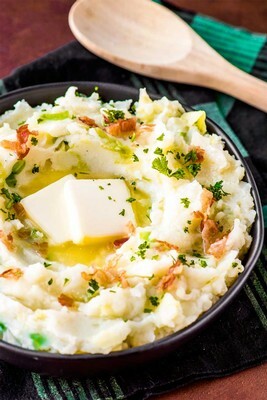 All mashed potato fans are bound to love this dish! Colcannon is a traditional Irish and Scottish dish (there’s even a song about it!). The two main ingredients are creamy mashed potatoes and either kale or cabbage, which are typically flavored with butter, milk, and mild seasonings. Other popular additions include green onion or cooked, crumbled bacon. Arguably the most difficult dish of the bunch to pair with wine, colcannon requires a wine with high acid. The decadence of the butter and cream should be balanced with the wine’s fresh, crisp acidity to help cut through the creamy weightiness of the dish by refreshing your palate between spoonfuls. Our 2017 Jana Sauvignon Blanc is the perfect complement to colcannon because of its crisp, vegetal flavor profile. 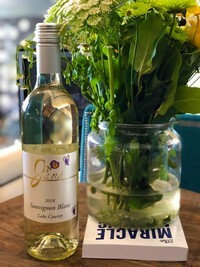 This wine is high in acid and full of herbaceous notes, with hints of lemon blossoms, melon, and flavors of fresh lemon bars and pink grapefruit that explode on the palate. It’s a balanced, enjoyable wine that pairs well with food while not overpowering it. 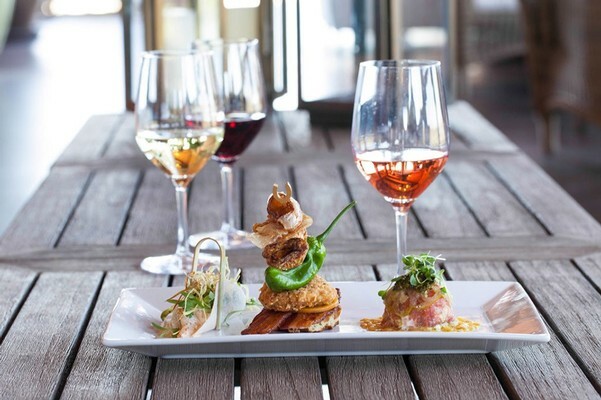 While many people associate traditional Irish foods with beer, wine is an equally acceptable and exciting contender because there are so many fantastic wine pairings to accompany the complexities of each dish. Have a St. Patrick’s Day favorite we didn’t mention? 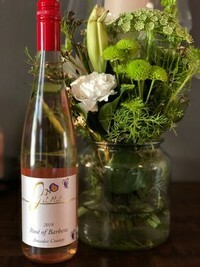 Check out our family of wines here - we have the perfect food-friendly wine for any Irish recipe! Happy St. Patrick’s Day from the Scott Harvey Wines family to yours - slàinte! 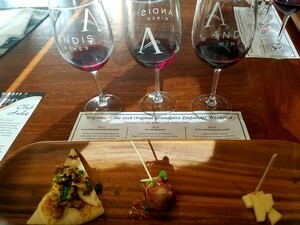 Andis Wines, Scott Harvey Wines, and Vino Noceto will host a weekend of events to celebrate the 150-year Anniversary of the Original Grandpère Vineyard (OGP), also known as Vineyard 1869. 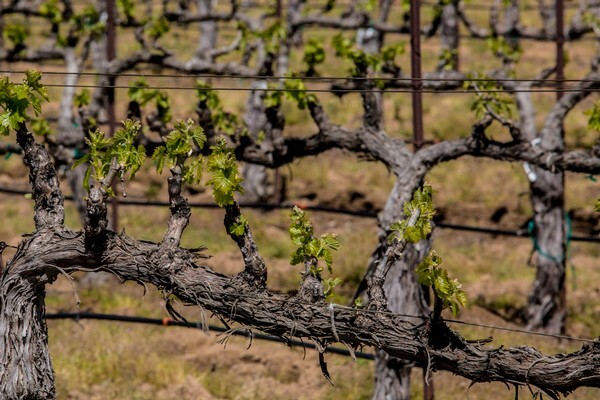 Over the course of two days, guests to Amador County will have a chance to taste, sip, and explore the Zinfandel vineyard heralded as the oldest documented Zinfandel Vineyard in America. Guests with a Tour and Passport Tasting ticket will have a chance to walk amongst the ancient vines themselves – Saturday with winemaker Rusty Folena of Vino Noceto and Sunday, with past proprietor & winemaker, Scott Harvey. Tours will meet at the vineyard at 10 a.m., weather permitting. The tasting passport and tour package is $65 per person ($45 for Wine Club Members). Reservations are required, as space is limited to 24 people. 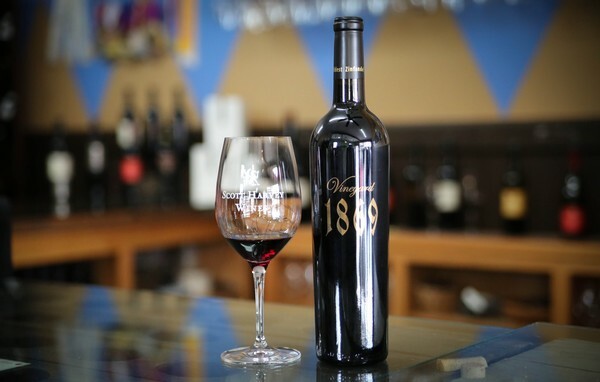 Each winery will be offering current and library vintage tastings of their OGP/Vineyard 1869 Zinfandel, paired with small bites. The passport ticket is $45 per person ($35 for Wine Club Members) and it will grant you access to all three locations, plus a 15% discount on 3 or more bottles of “OGP” Zinfandel purchases for the weekend. The Original Grandpère Vineyard dates back to the 1860s and was named 2016 Vineyard of the Year by the California State Fair. 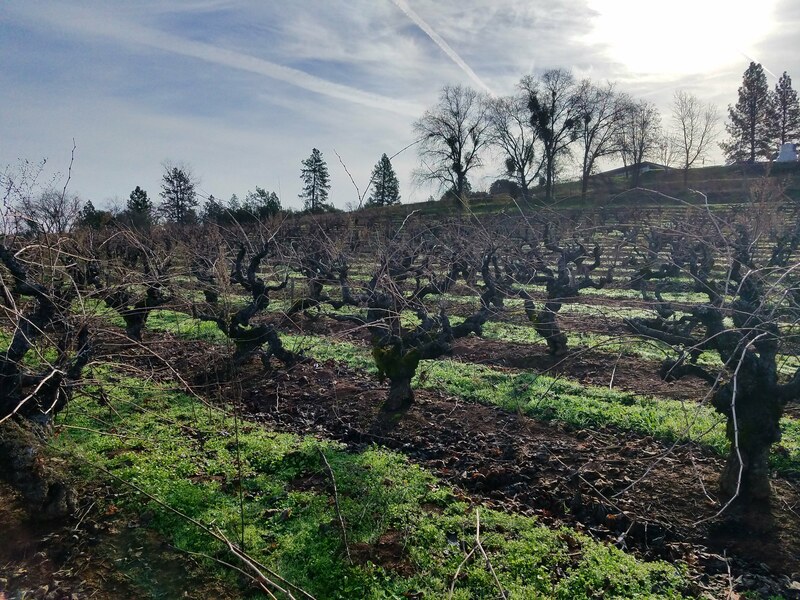 Still in production today, only four wineries are privileged enough to receive fruit from this vineyard, three in Amador County - Andis Wines, Scott Harvey Wines, and Vino Noceto – with the fourth being Macchia in Lodi. The identity of the original planters is not officially known, although genealogical research has narrowed it down to the Upton family: either to John D. and Mary T. Upton, the original settlers, or their daughter Martha Upton and her spouse George Rouff, who were married in May 1866. An 1869 land deed shows grapevines planted on the 10-acre site, located in the Shenandoah Valley about five miles northeast of the town of Plymouth. Click here to purchase tickets to this celebratory weekend! Wine Club ticket pricing available. 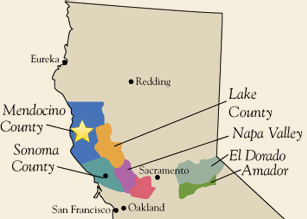 Rolling hills, rustic charm, and world-class wineries await you in Northern California! If you haven’t already, enter our Wine Country getaway contest to win a three-night/four-day trip for four in Amador County Wine Country. Once home to Gold Rush prospectors, Amador County is back on the map, this time for its award-winning wines and friendly hospitality. Winemaking isn’t new to Amador County. Vines were planted in the mid-1800s to satiate the many Europeans that were seeking riches in the area. The volcanic and sandy loam soils are extremely well-suited for creating flavorful and luscious wines. While Prohibition resulted in abandoned vineyard plots, some sites survived due to the resilience of the vines and today are producing spectacular old vine reserve Zinfandel. 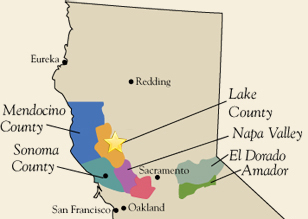 In addition to Zinfandel, the local wineries have been successful in producing varieties with Italian, Spanish, and Rhône origins such as Barbera, Aglianico, Tempranillo, Viognier, Grenache, Syrah, and Mourvèdre. The team at Scott Harvey Wines, along with our partners Baja Limo, Taste Restaurant & Wine Bar and FlyWithWine, looks forward to welcoming our sweepstakes winner. 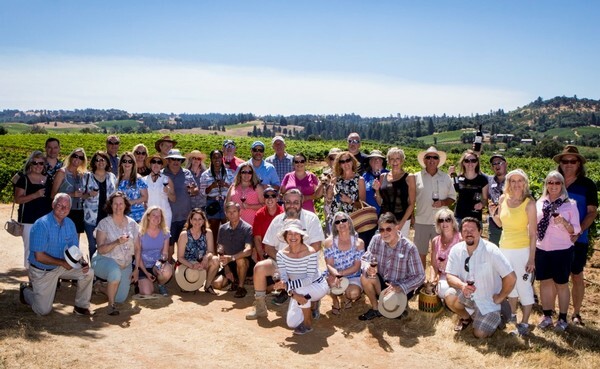 Together, we’ve cultivated a handful of VIP food and wine experiences to make your trip a once-in-a-lifetime experience! 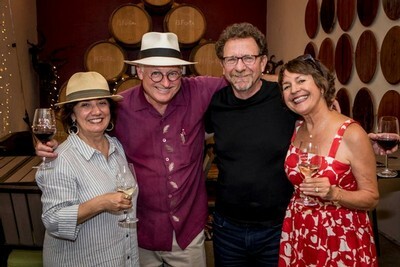 The winner and guests will be hosted by winemakers and owners Scott and Jana Harvey at the Scott Harvey Winery in Plymouth... Scott grew up in the Sierra Foothills region and has been involved in winemaking for over 40 years. In 2005, he and his wife Jana–also a wine industry veteran–began making wine under their own labels. 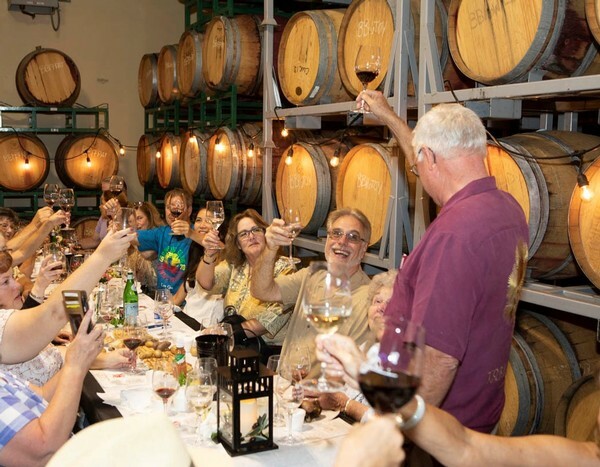 They now run two tasting rooms, one in downtown Sutter Creek and the other at their winery in Shenandoah Valley, welcoming thousands of guests for tastings, pairings, tours, and events. The winner will enjoy a long weekend with accommodations in the winery’s estates guest house. We’ll delight them with a guided vineyard tour with Winemaker Scott Harvey, as well as a private dinner with Scott and Jana Harvey. Good company requires great food, and Estate Chef Brian Overhauser will deliver just that. Additionally, Chef Brian will prepare a VIP Food & Wine Pairing experience to showcase our food-friendly, Old World style wines. A special offer to purchase Scott Harvey Wines at the discounted Wine Club member pricing will allow guests to take home memories to be shared long after their trip. 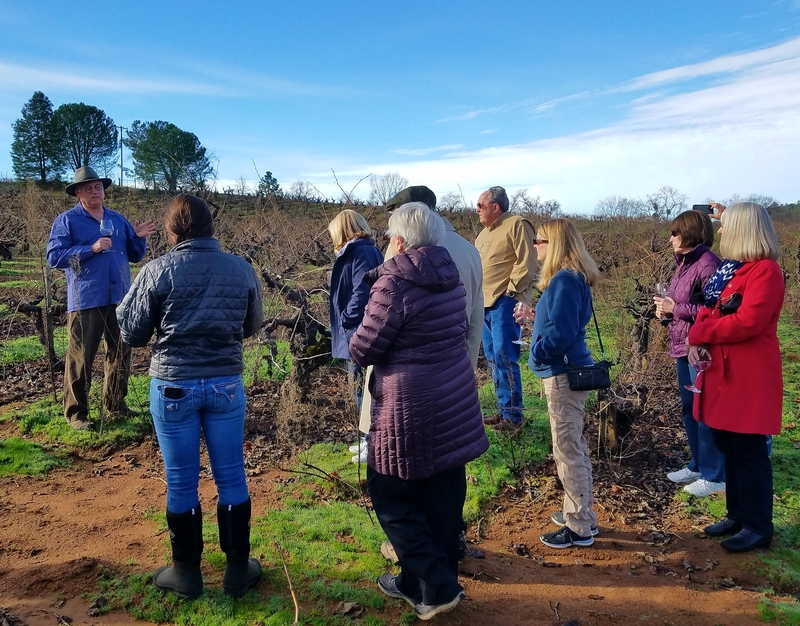 The weekend will continue with a guided winery tour through Amador County’s sun-drenched hills. Ride in style with Baja Limo, the premier luxury transport service of the Bay Area and Northern California Wine Country. Courtesy of Baja Limo, the group will receive a $250 gift card allowing them to splurge along the way! 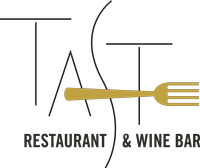 Taste Restaurant & Wine Bar, the most flavorful, local favorite, will treat the winner and their guests to a decadent lunch with the freshest, seasonal ingredients. FlyWithWine will help the winner continue to create fond memories by supplying a gorgeous, durable 12-bottle VinGardeValise® wine suitcase to transport their award-winning Amador wines home to share with family and friends. 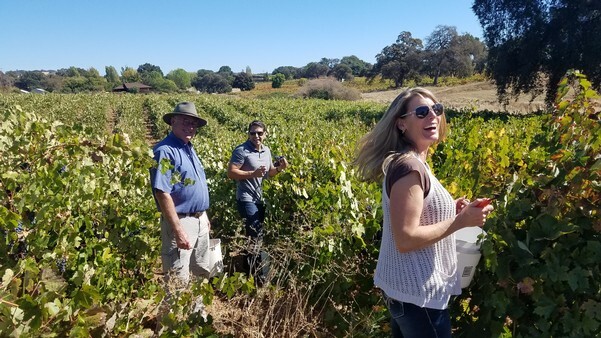 With over 40 wineries and tasting rooms and a plethora of wine varietals to taste, we know you will have a unique and unforgettable adventure in Amador County! Take a moment to enter online: Wine Country getaway. And don’t forget to share with your friends and family! 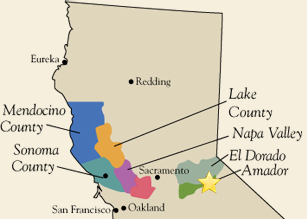 We hope to welcome you to Amador County Wine Country soon!